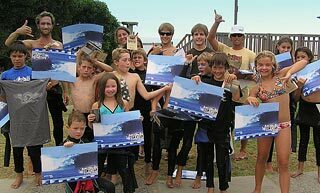 Eli Howard offers Surf Camps to accommodate everyone with a great surfing and ocean adventure. They are an ideal getaway from which you will leave with new skills, a new sport, and a great sense of accomplishment and self-confidence. With our small 3:1 ratios our instructors make safety the highest priority for each student to truly learn to surf! Day Surf Camps are held Monday through Friday mornings from 8 a.m. to 12 noon on City of Encinitas beaches at Moonlight Beach, or afternoons from 12 noon to 4 p.m. at San Elijo State Beach. During our day surf camps we spend most of the time in the water, learning to surf and practicing surf skills, with an emphasis on fun and safety. 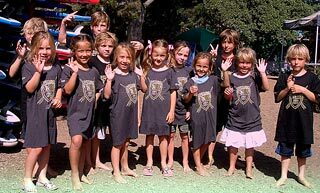 Morning Surf Camps are open to kids ages six and up. It's a great time, and a great way to learn to surf for everyone. Our three-to-one student to instructor ratio ensures that all students get the attention they need to progress in this great sport.